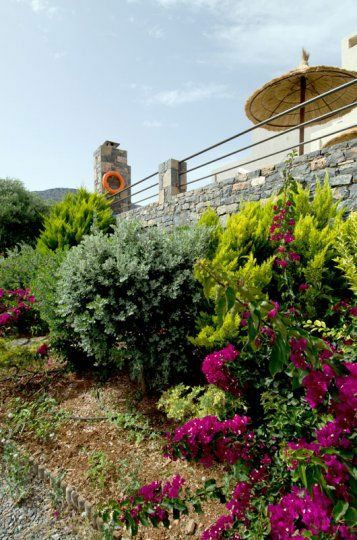 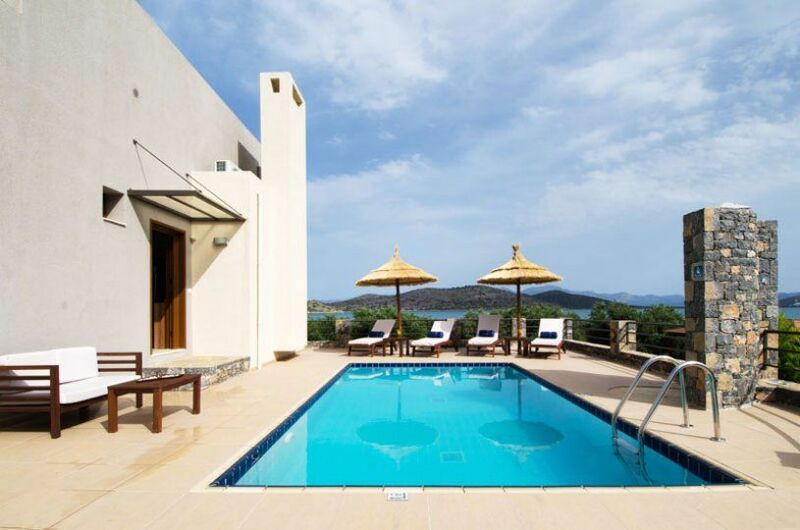 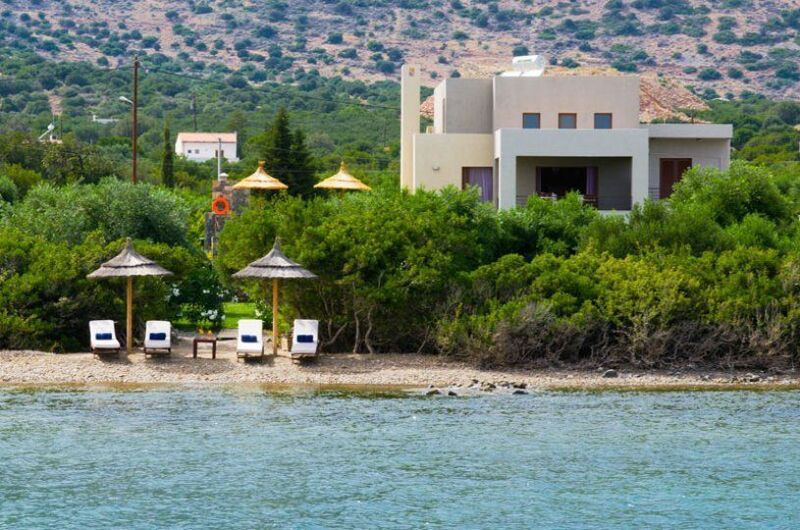 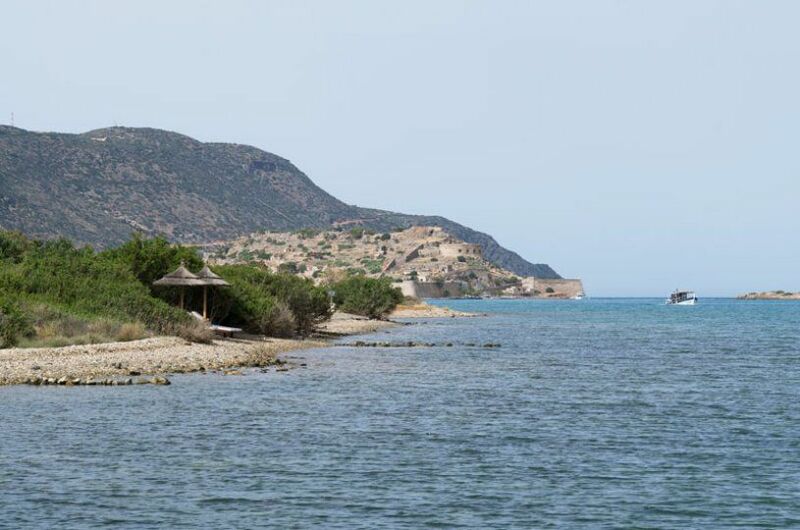 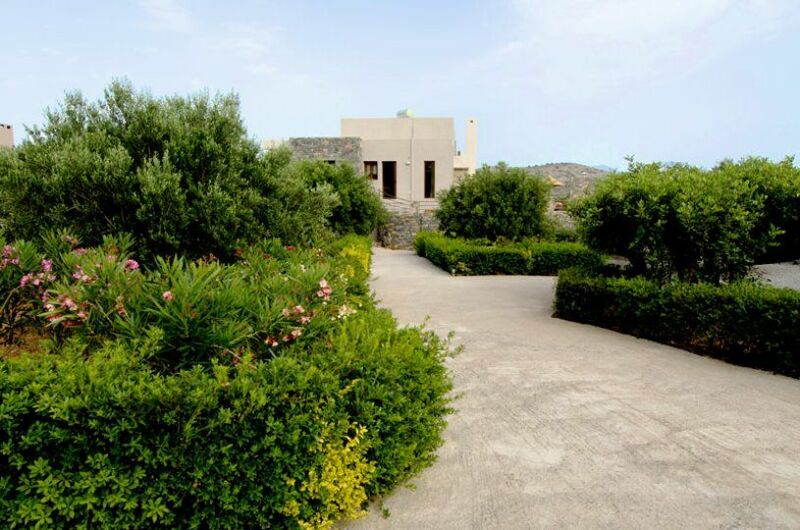 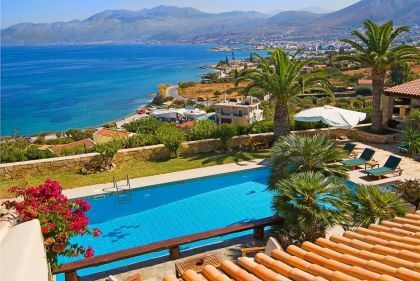 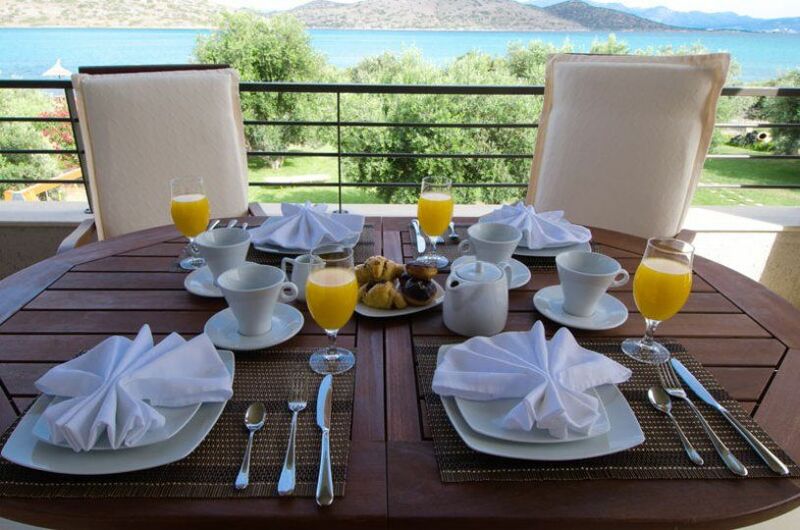 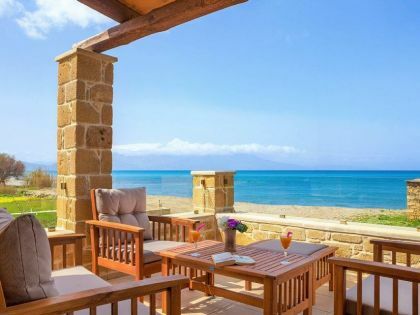 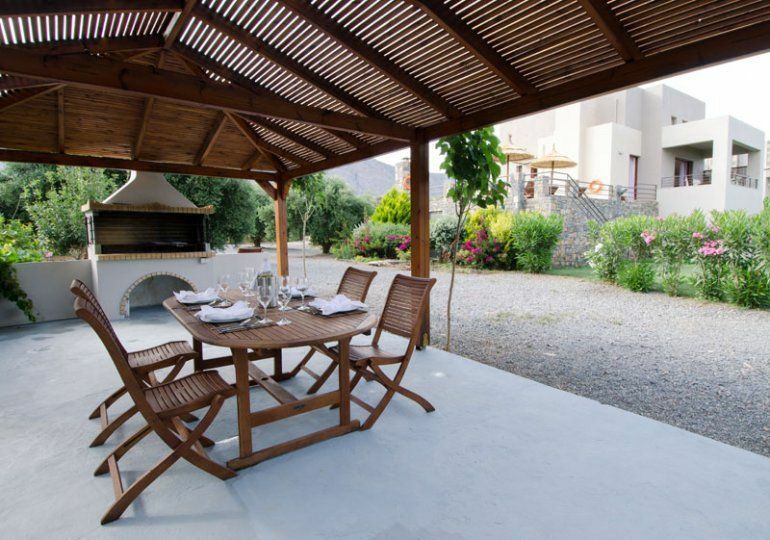 Villa for rent in Crete, right on the beach, with 3 bedrooms and pool. 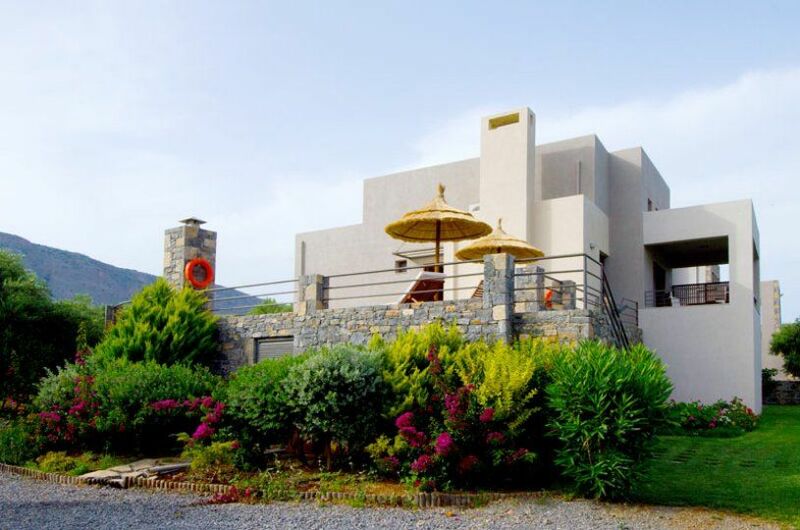 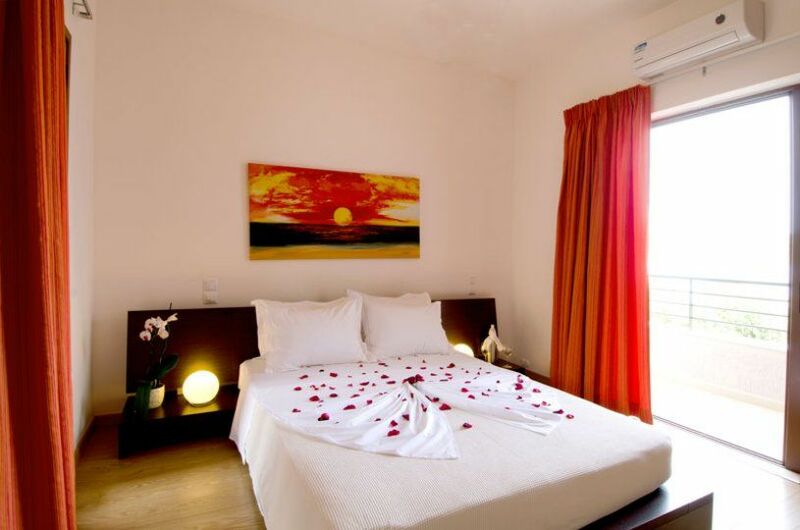 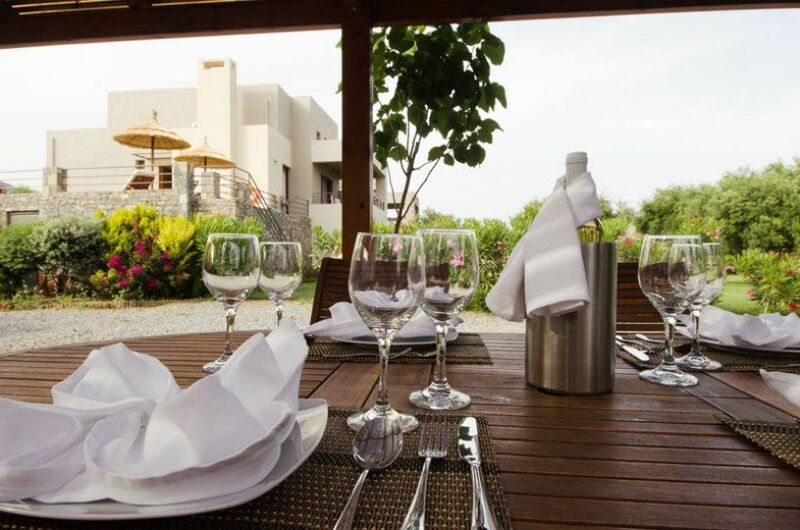 The villa can accommodate up to 7 (seven) people and offers you true moments of relaxation and enjoyment all year time.The villa is constituted by two floors. 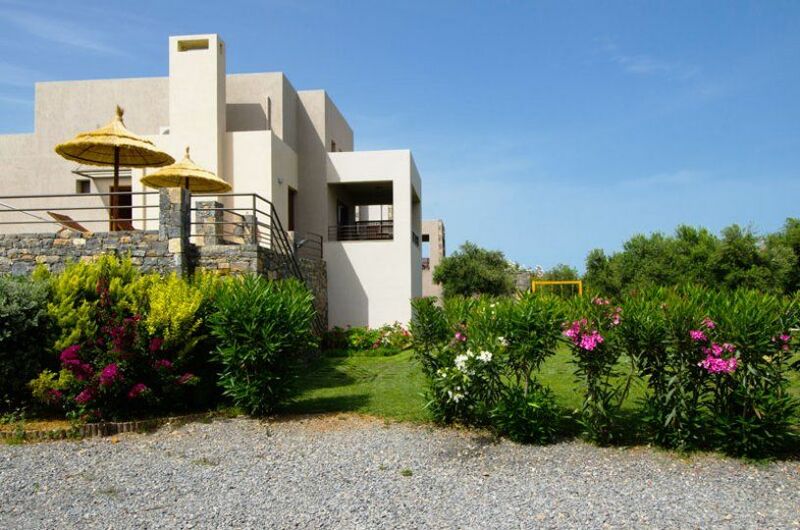 • Two separate bedrooms with two beds in each bedroom, wardrobe, autonomous air conditioning, level television. 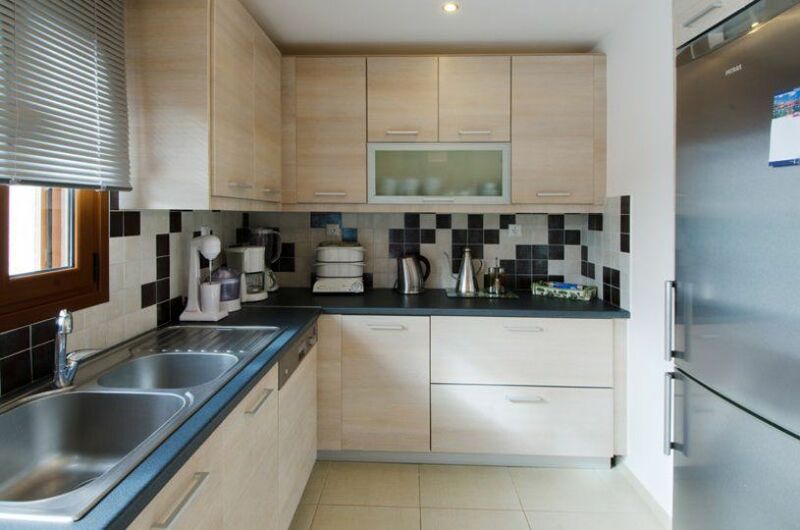 • Closet - wardrobe with washing-machine, tumble dryer, press of steam, mangle. 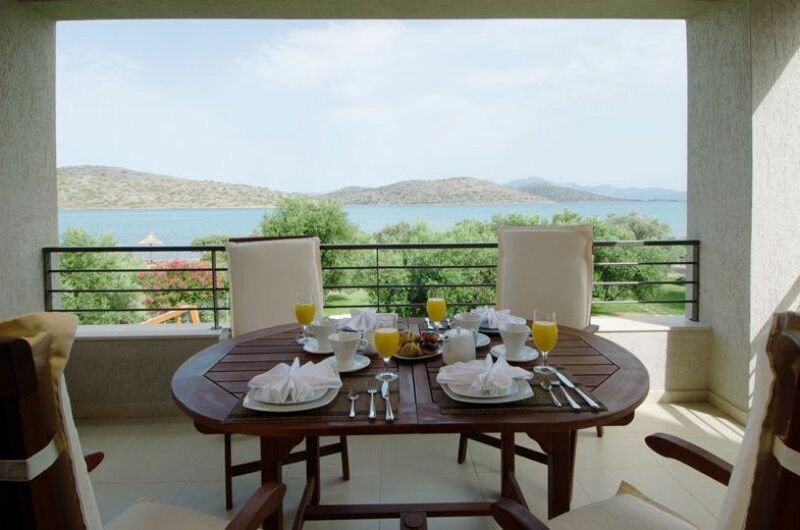 • One bedroom with double bed, wardrobe, autonomous air conditioning, level television, balcony with view sea. 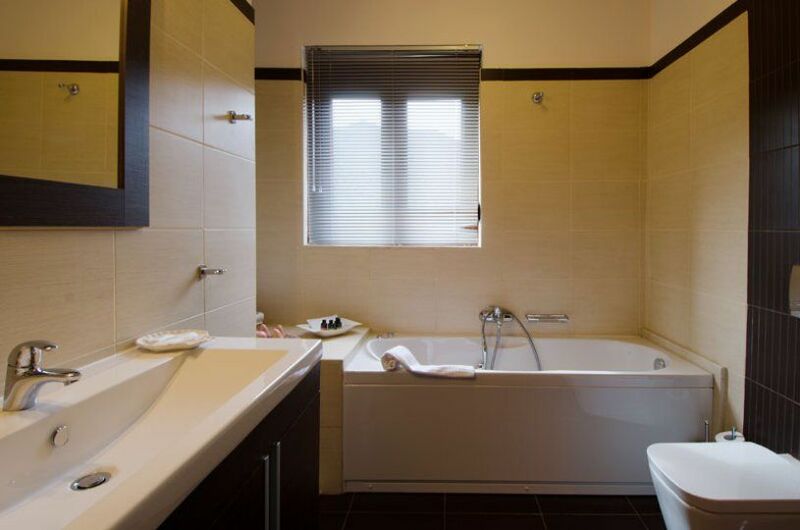 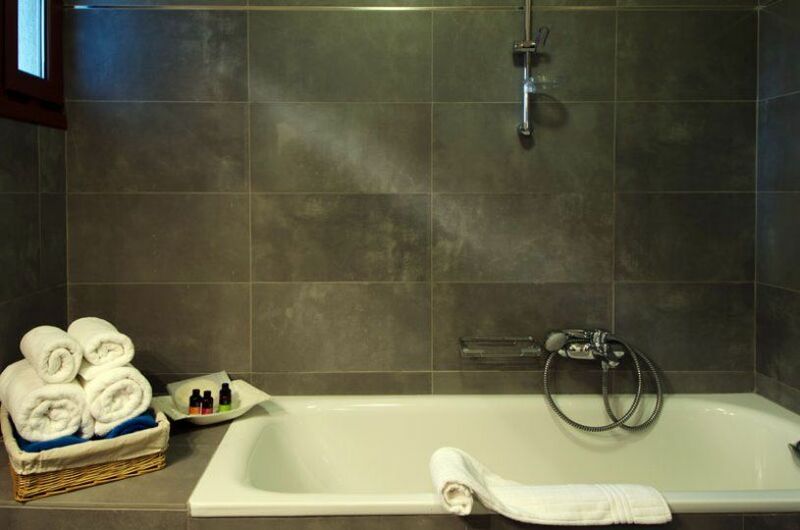 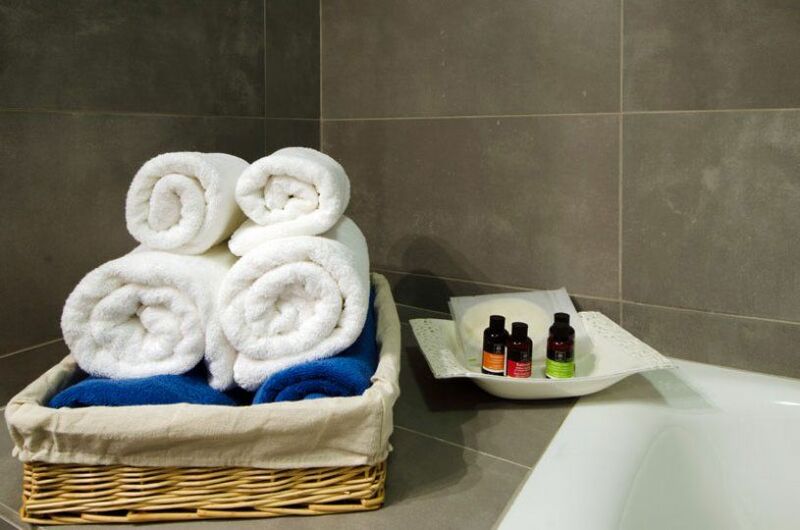 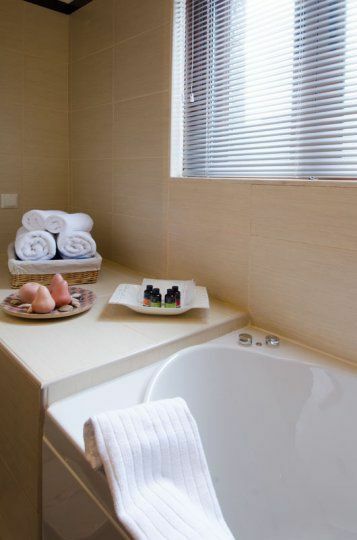 • Luxurious bathroom with hydromasaz. 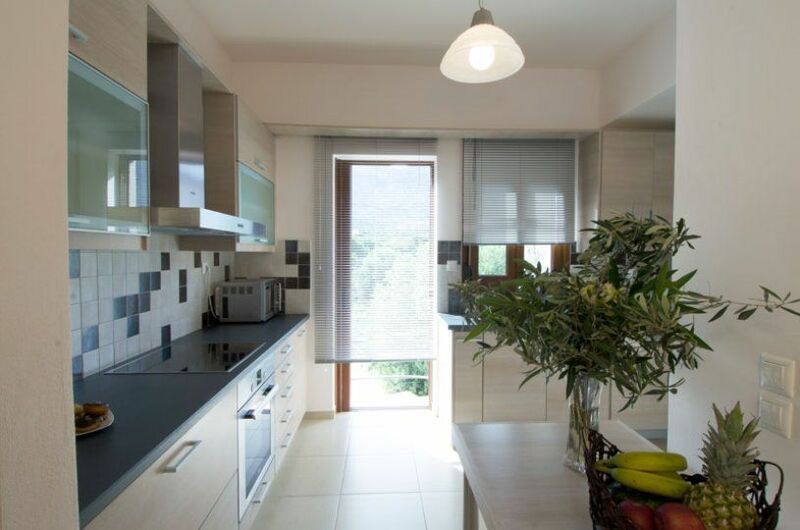 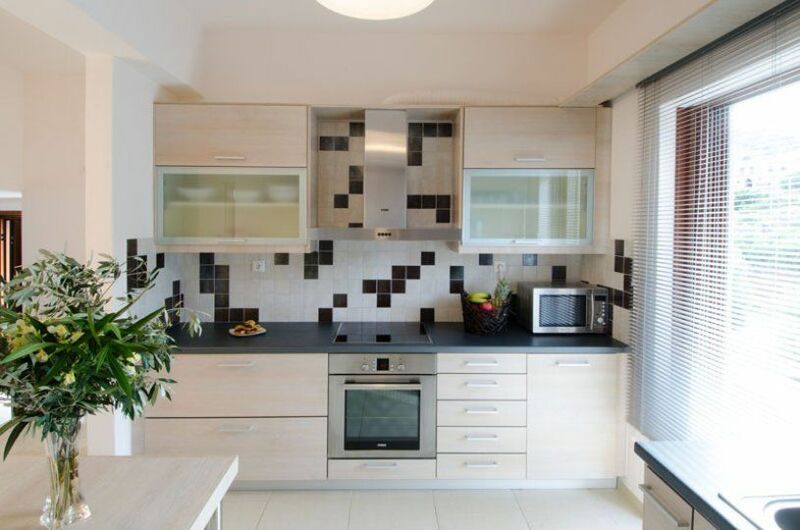 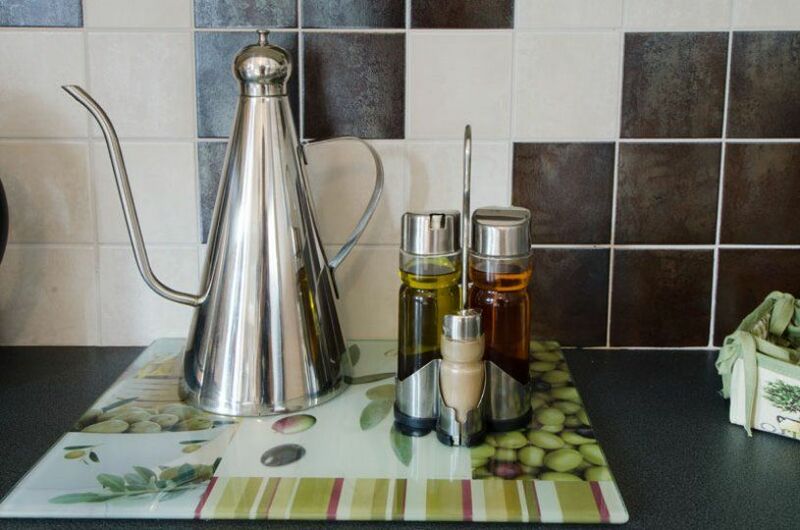 • Completely equipped kitchen with all electric appliances. 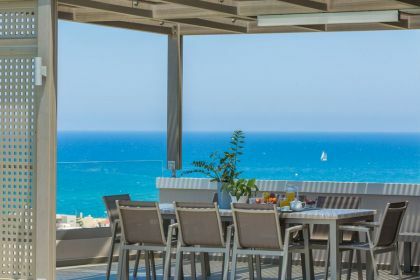 • Living room with comfortable couch and armchairs, level satellite television 37΄, DVD, echo system, autonomous air conditioning, wireless network to access on the internet, veranda with exterior dining room with sea view. 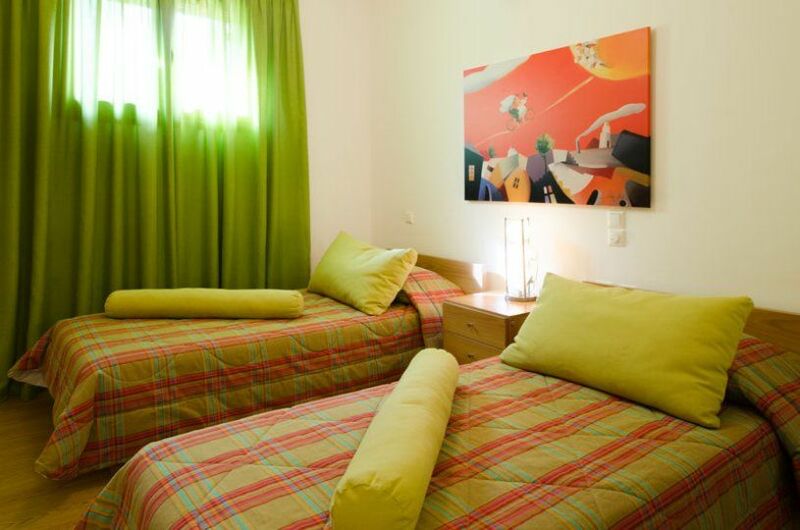 The living’s room internal scale leads to a beautiful loft with comfortable couch that can become bed for the hospitality of one more person. 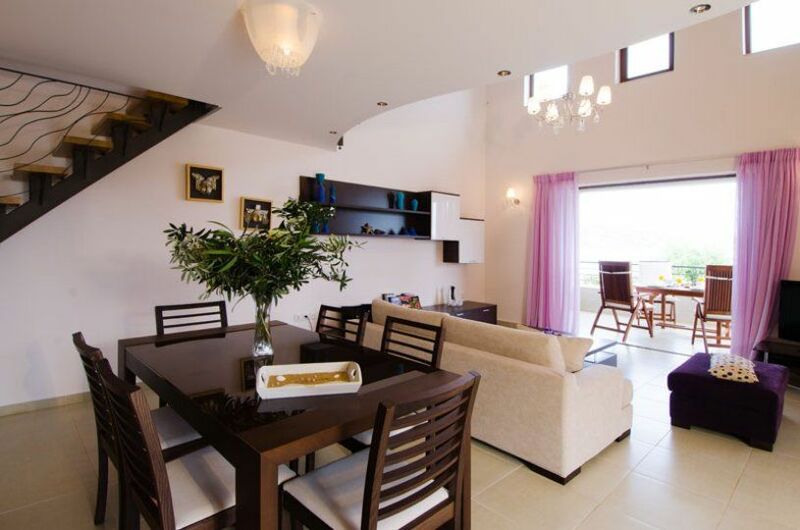 • Dining room and fireplace. 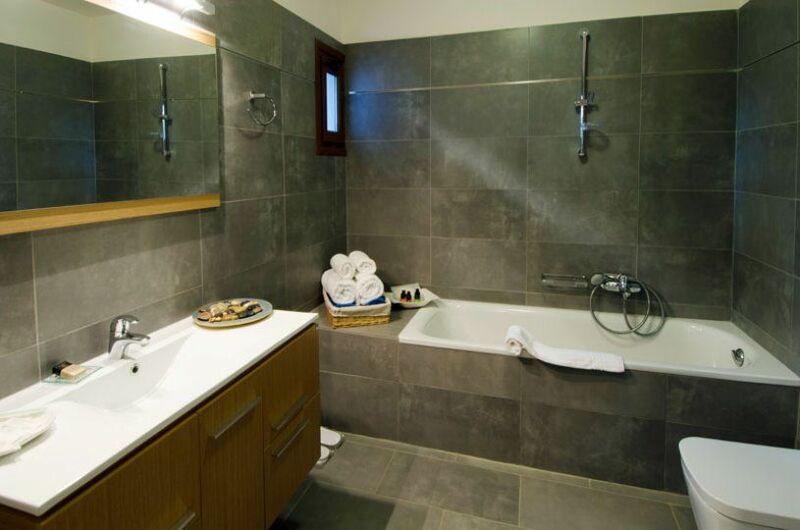 The first floor is connected to the second floor by an internal stair of marble. 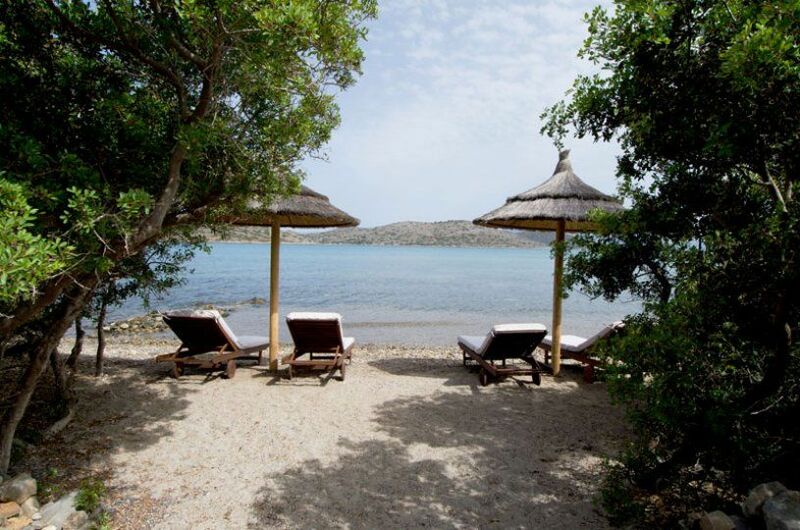 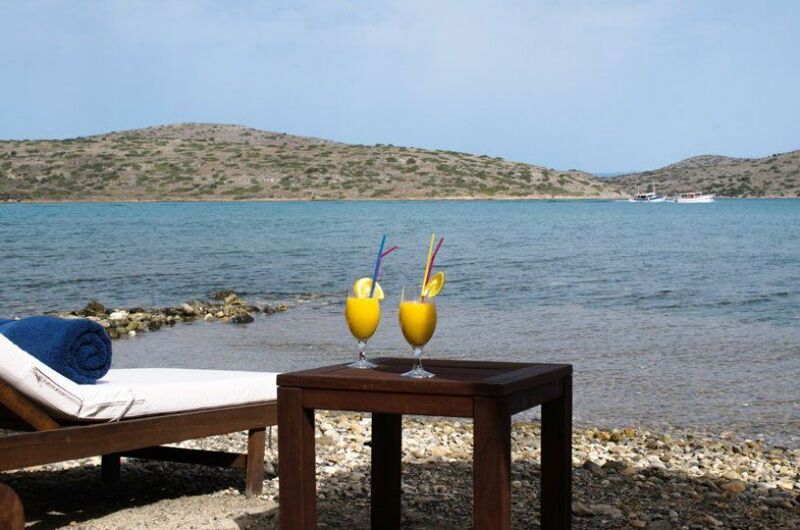 Few meter outside the villa you can enjoy the beach which is fully equipped with sun beds, umbrellas - shower. 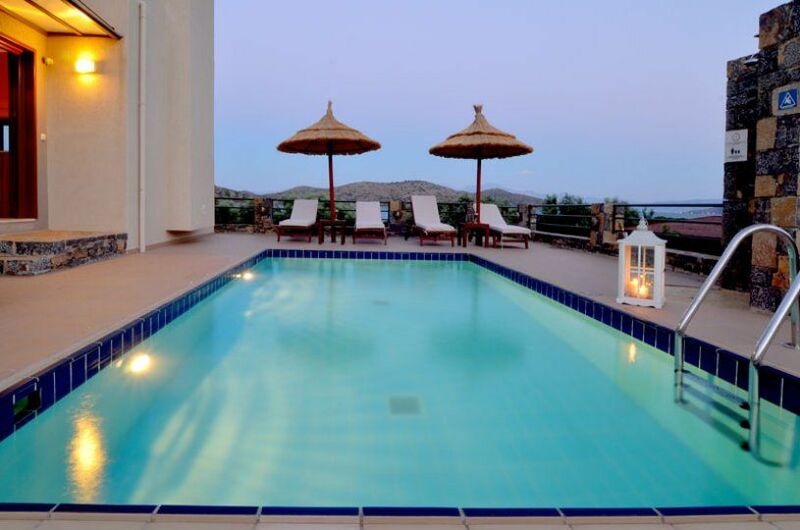 There is also a swimming-pool 35 s.m. 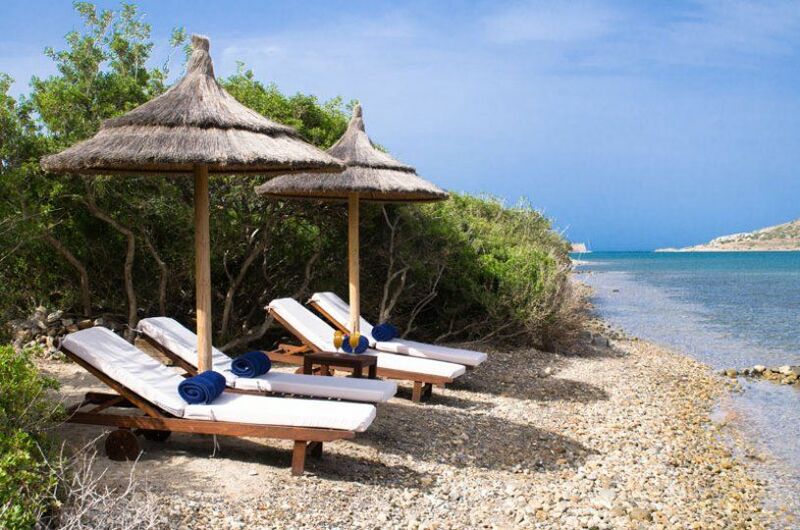 where you can relax at the comfortable sun beds. 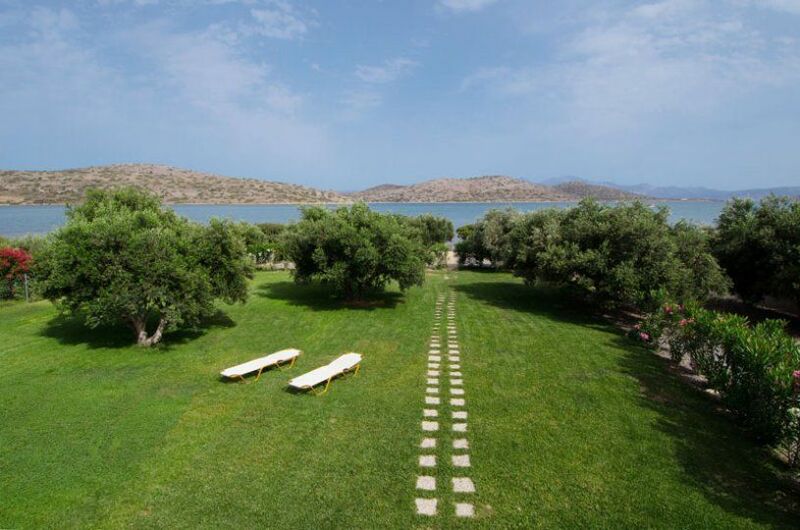 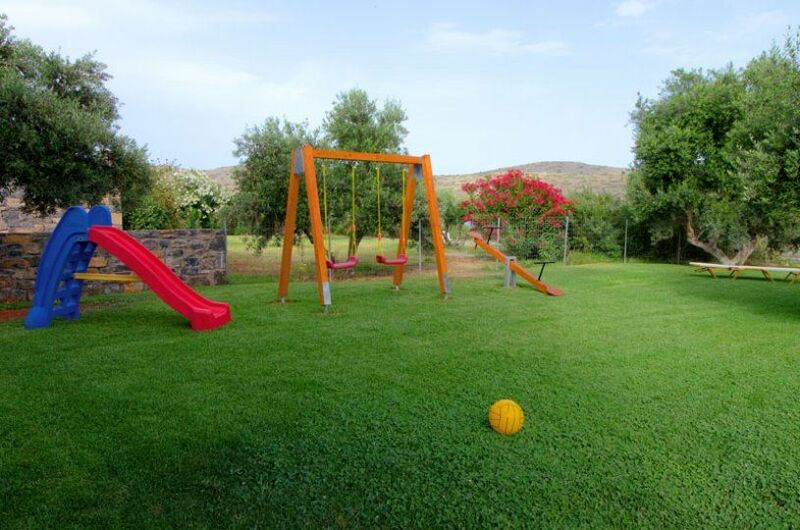 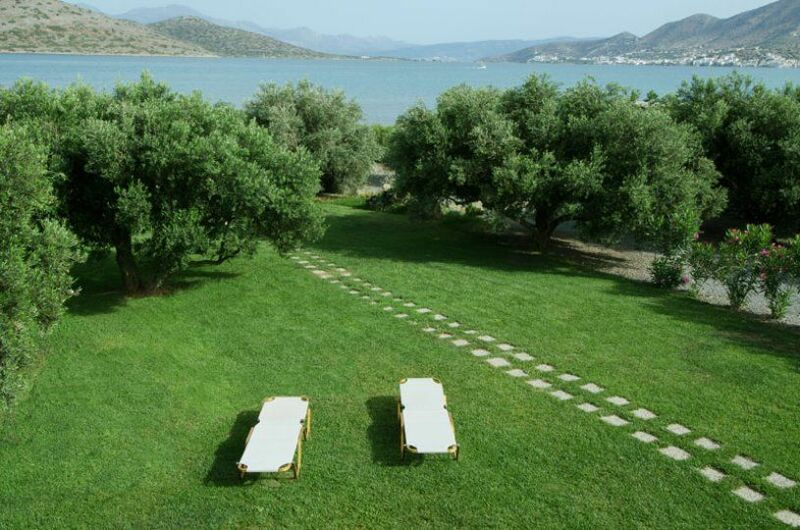 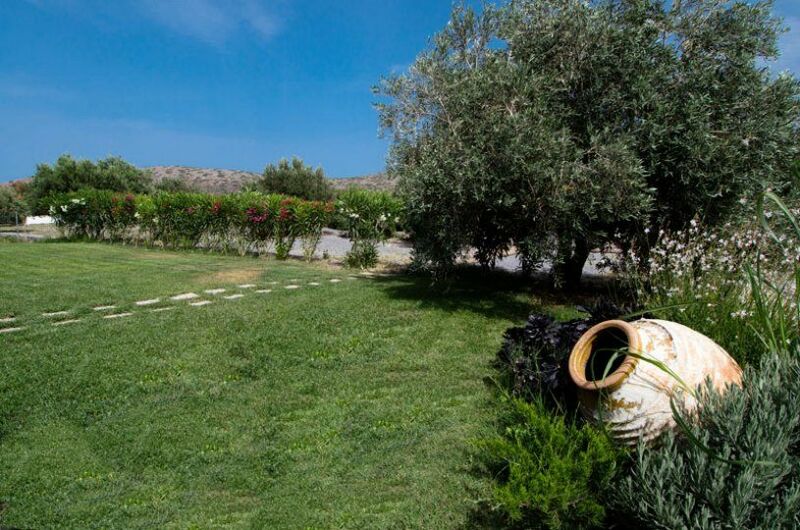 The villa is surrounded by a beautiful green garden with grass, local trees and playground. 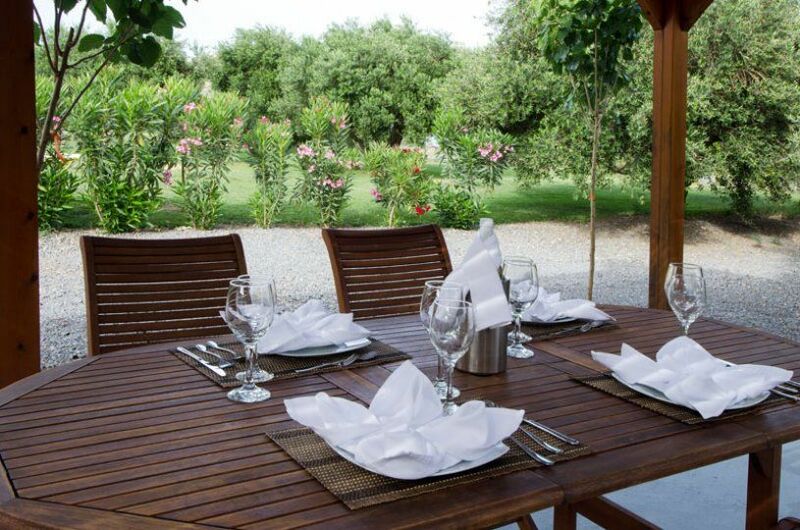 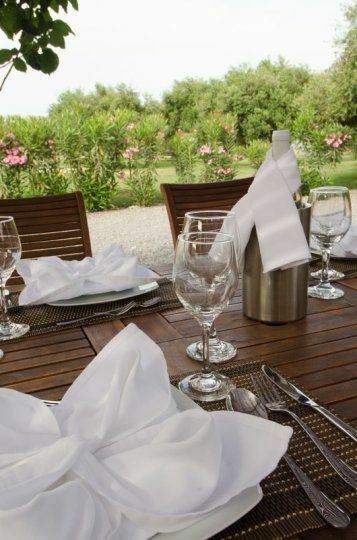 In the garden there is a built barbeque, beneath a wooden pergola, allocates a grand wooden teak teable and chairs.